The move to Chromium is largely going to be something that’s only under the hood. As far as the users are concerned, nothing really is going to change on the surface (no pun intended) and Edge will continue to operate as before, just with better compatibility. The second important part of this story is that Microsoft will also be bringing this new version of Edge to more platforms. 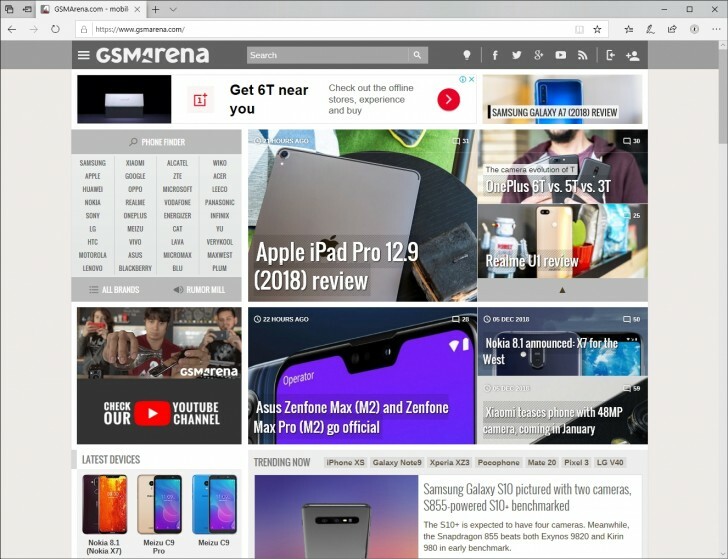 Instead of being exclusively baked into Windows 10, Edge will now be a downloadable browser on all platforms, including Windows 7, Windows 8 and, macOS. The rationale here being making developmental work easy across all platforms but it won’t hurt to increase the user base as well. This will also mean the new version of Edge will be updated more frequently. Currently, Edge updates are tied with Windows 10 updates, which means it only gets a handful of updates throughout the year but once it’s decoupled from the OS, it can be updated as often as required across all platforms.